The village of Hantes-Wiheries is located south-west of Charleroi off the N561. From the E42 motorway turn off at junction 18 and onto the N59 direction Anderlues. Follow the N59 to the junction with the N54, turn right along the N54/59 and at the next junction turn left back onto the N59. Follow the N59 to the junction with the N559 and fork right onto the N559, continue along the N559 to the junction with the N561. Turn right onto the N561 direction Fontaine-Valmont, continue along the N561 past Fontaine-Valmont to Hantes-Wiheries. 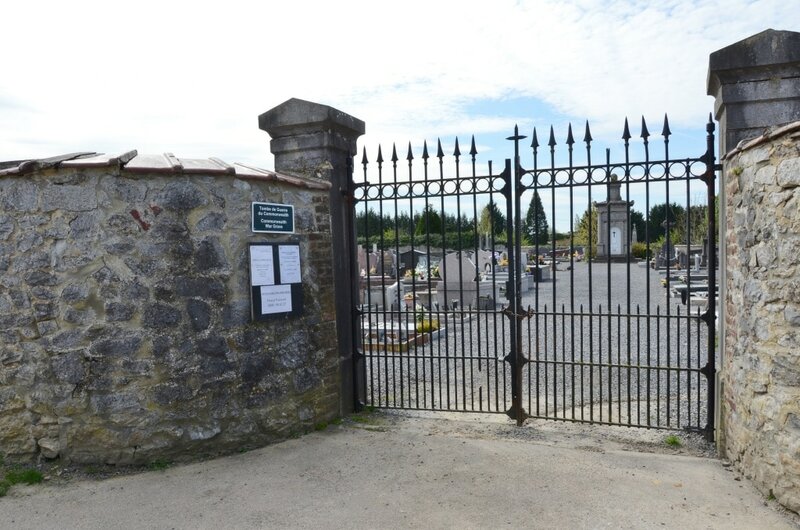 Turn left into rue du Calvaire, go over the crossroads and then turn left into rue des Chapelles. 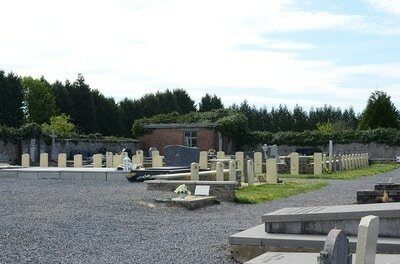 The cemetery is along on the right and the graves are located to the right of the main path. 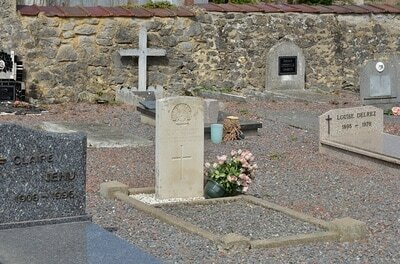 Hantes-Wiheries Communal Cemetery contains one Commonwealth burial of the First World War. 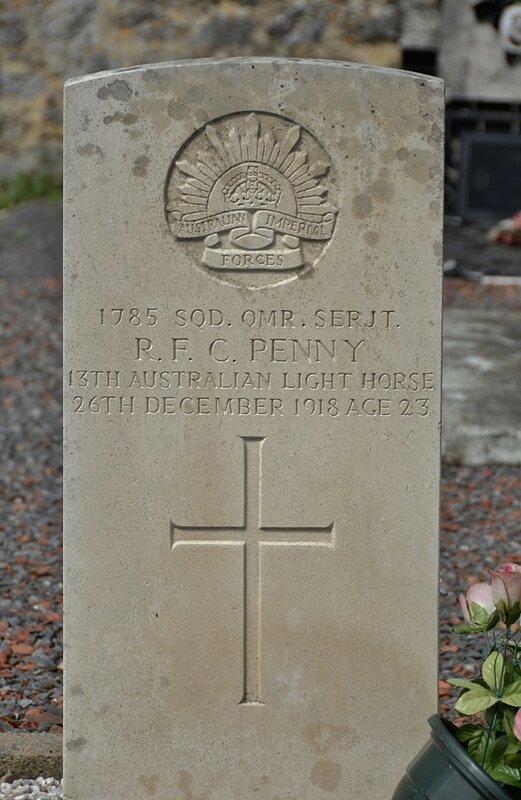 1785 Squadron Quartermaster Sergeant Robert Frederick Carl Penny, 13th Australian Light Horse, died 26th December 1918, aged 23. Son of Emily and the late E. T. Penny. Native of Cheltenham, Victoria, Australia. 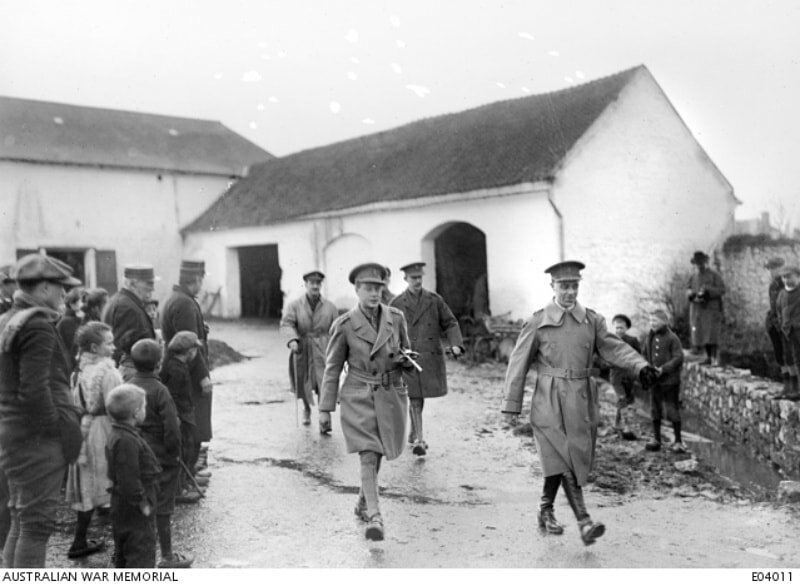 ​The Prince of Wales leaving Hantes-Wiheries during his visit to the Australian Corps Mounted Troops billeted in this area. He is accompanied by his aide de camp (ADC) and other officers, all unidentified. Note two Belgian uniformed police (left) and children on either side of the group.